Healthcare technology markets have been recently identified as potential investment targets. Having survived a major environmental shock, the dot.com bust, firms in the healthcare technology industry are presently experiencing an impressive revenue growth. 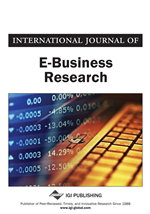 In this study, we investigate the strategies of Emdeon Corporation, a healthcare technology firm whose e-business model provides clues for achieving a sustained revenue growth and profitability. We trace the current sustainability of Emdeon’s e-business model to a related diversification strategy that the firm’s upper management has pursued via mergers and acquisitions (M&As). We also address the motivation behind current restructuring of Emdeon’s e-business model. We argue that maturation of diversified e-business models leads to the transformation of individual segments into distinct entities focusing on specific technology markets.